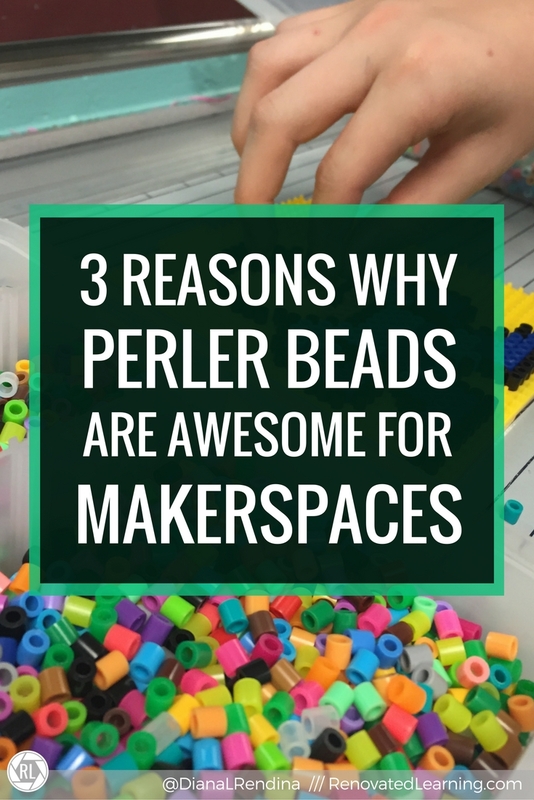 Perler Beads were one of the earliest elements of my makerspace. I originally added them as a pop-up station during Teen Tech Week in 2014. 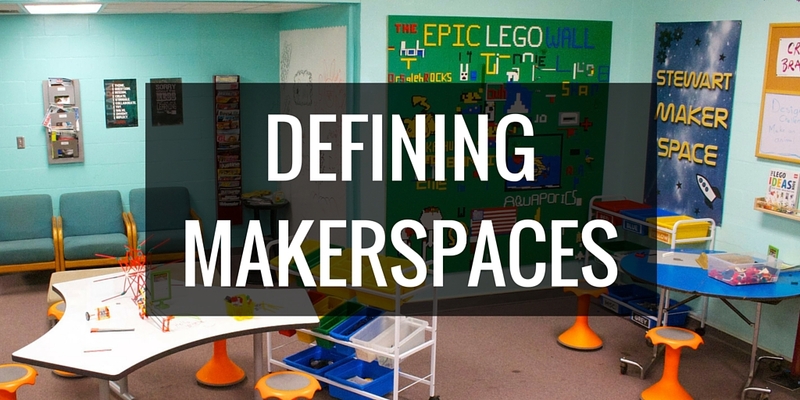 They ended up being such a surprise hit that they became a permanent part of our makerspace. They’re one of my students favorite Make & Take activities, and they’re pretty affordable to buy in bulk as well (see my recommended shopping list at the bottom of this post). In case you haven’t heard of them or used them before, here’s the basic low-down on Perler beads. Perler beads, also called Hama beads (in Japan) or melty beads, are small, plastic beads. You arrange them on a special pegboard to form a design. Then, using an iron and wax paper, you melt the beads together. When they cool off, you have a solid piece of plastic in your design. Pixel Art for the win! 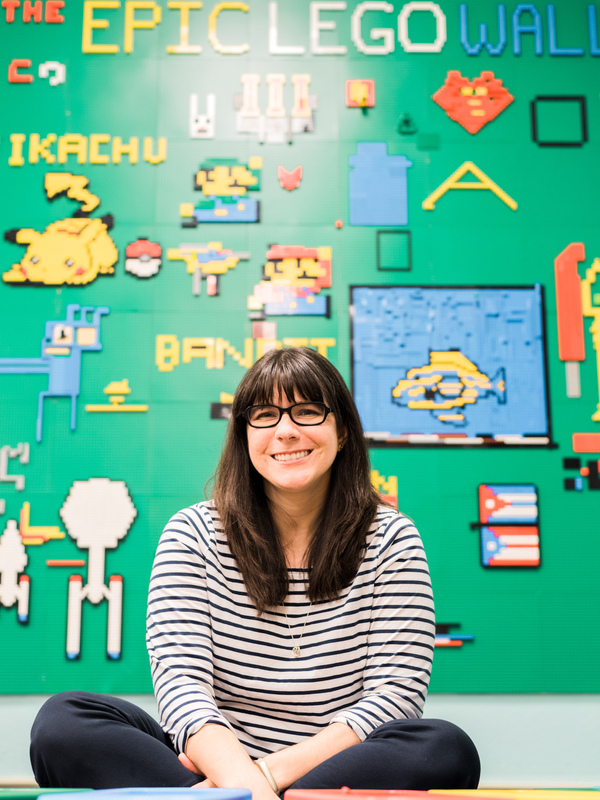 Video games and pixel art are HUGE with todays students. Since you use individual beads to form patterns on a grid, Perler beads are perfect for creating pixel art. They’re an excellent way for students to create something that expresses their love for their favorite video game, cartoon character or sports team. I’ve got a whole Pinterest board just on Perler bead designs – check it out! Both boys and girls love using Perler beads in our makerspace. People often assume that arts and crafts activities will primarily appeal to girls. But I’ve found in my makerspace that the boys and the girls use the Perler beads equally. There isn’t really much of a social stigma attached to things like this that would keep boys from using them. Even some of my toughest too-cool-for-school guys think they’re pretty awesome. 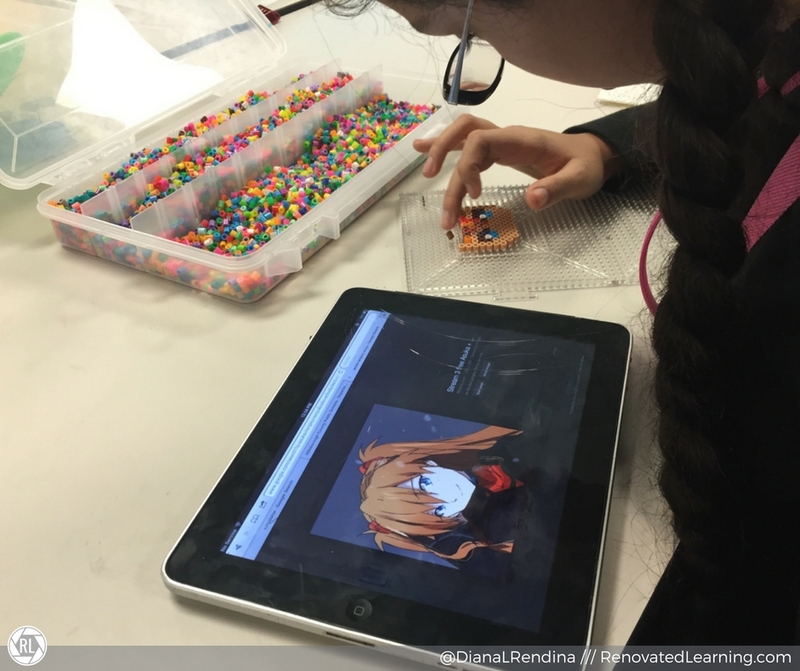 While lots of students tend to use Perler beads to recreate their favorite pixel art, they also lend themselves beautifully to creative expression. I’ve seen students reinterpret other non-pixel images, create abstract art designs and more. One of my favorites is in the image above. This student decided to leave some pegs empty to see what would happen. 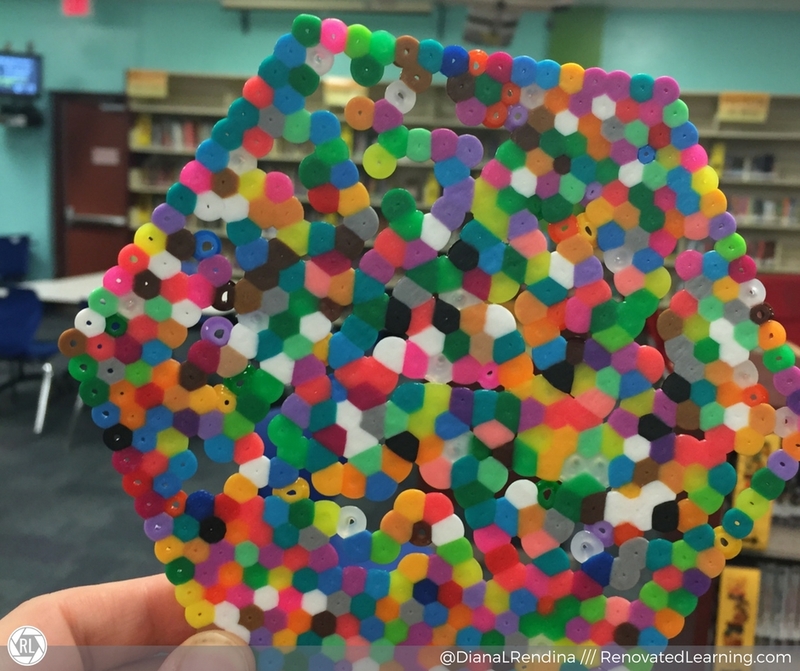 Once we melted the beads, it created a really interesting pattern. Have a system setup for how items will be ironed. 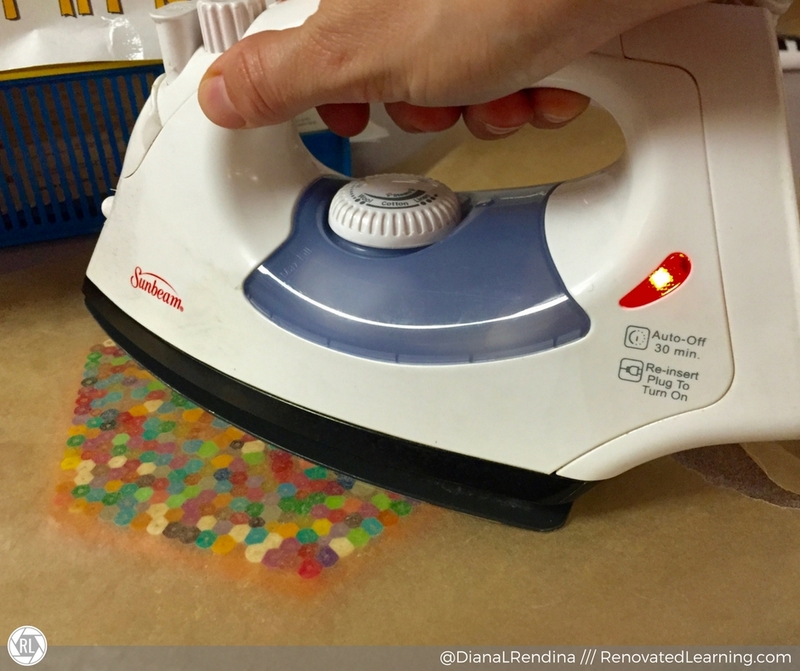 There is no one set way of incorporating Perler Beads into your space. As with all things in makerspaces, it’s about what works best for your school and your students. But here’s some tips that can help keep things running smoothly. Use tackle boxes! 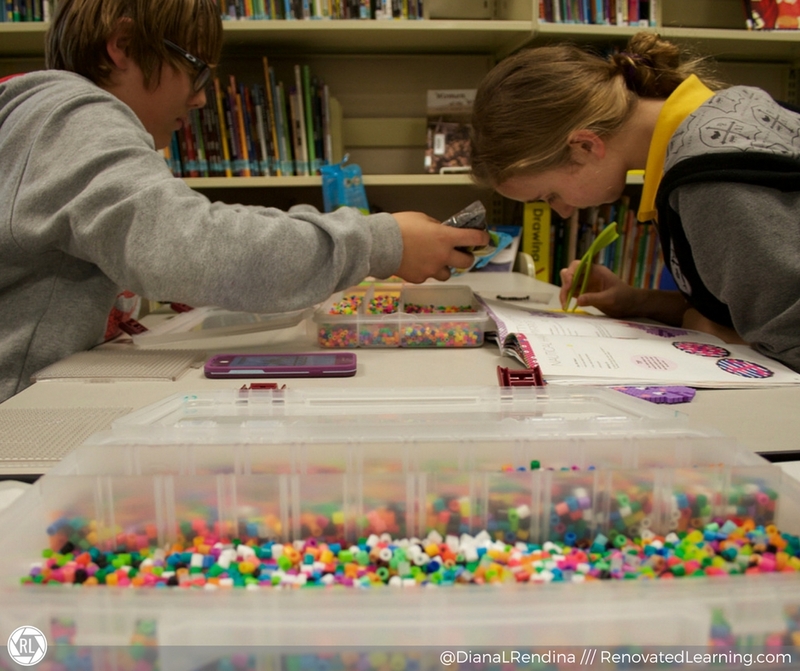 It’s easier for students to find the beads they’re looking for if they’re in a relatively flat container that they can sift through. Whether or not you want to organize them by color is up to you. We did that for awhile at Stewart, but eventually it became too much work to resort the beads all the time. My favorite tackle boxes are these ones by Plano, but any shallow tackle box can work well. Buy some Perler tweezers: I cannot emphasize this one enough. 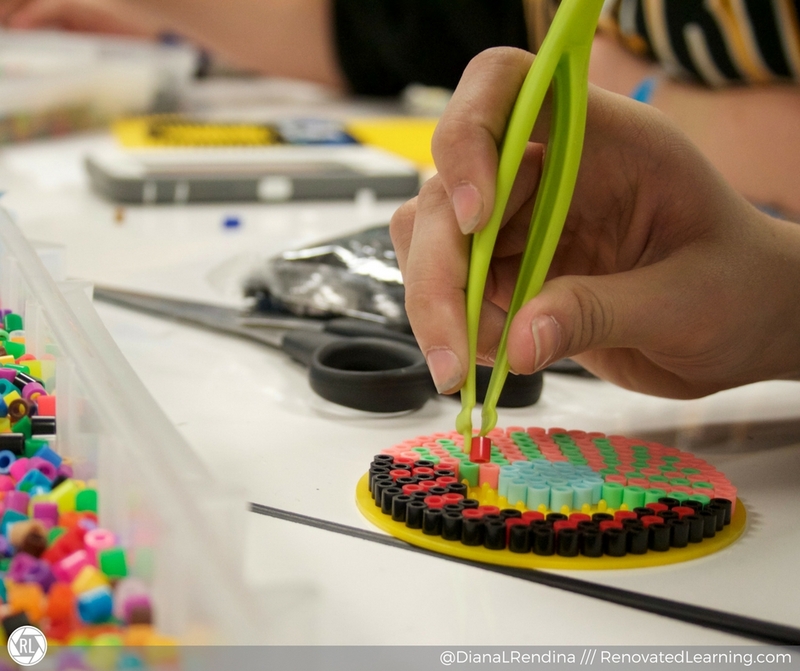 Perler tweezers allow students to pick up and precisely place individual beads. My students use them constantly. Have a cheap iron and set up procedures for ironing and picking up items: I just bought my iron at a thrift store, but any iron will do. I set it to a dry hot temperature and iron the beads with some wax paper in between the iron and the design. At Stewart, I’ve set up a specific area where students can place finished projects to have them iron. I usually iron projects about once a day. Students often use their devices to look up patterns and get ideas for designs. 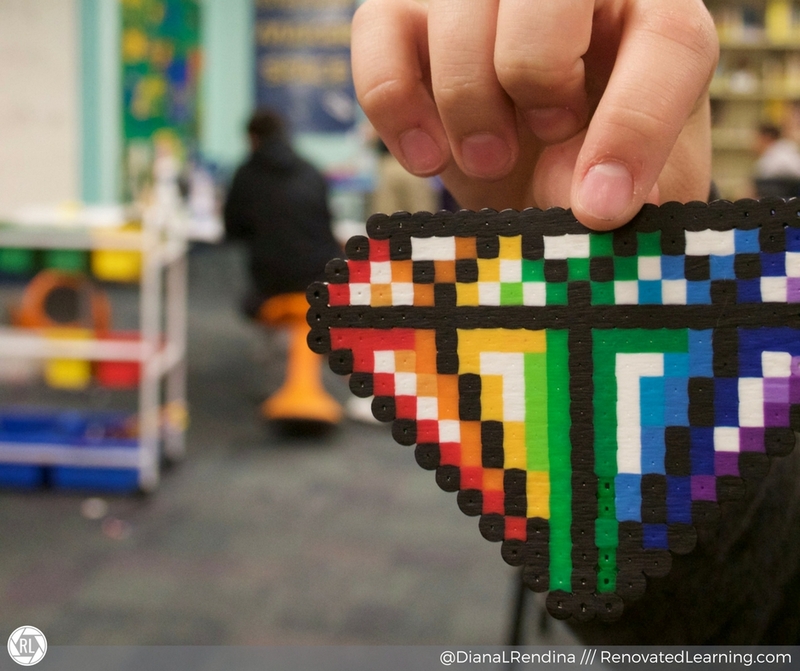 Do you have Perler beads in your makerspace? What are some of the kinds of projects that your students have made with them? Note: This post contains affiliate links. Actions taken from links may result in commissions for Renovated Learning. I recently decided not to buy perler beads because I was worried about ironing them. Do you iron them all yourself? And where do your kids leave them? It’s so easy for the beads to fall out if they get shaken or bumped. I’d love to have them but have to work out the logistics as I’m expanding my MakerSpace into a bigger part of the media center! I’m still working that part out. I have a designated shelf for them to put projects to be ironed on. Sometimes they do get bumped, but I try to keep it sturdy. I do iron them myself, although sometimes I have trusted student helpers do it for me. Peeler beads are a favourite in our Makerspace. I have a ‘tote tray’ kind of storage system for unfinished works. They put their half-finished projects in a tray and put a post it note on the front with their name and the date (that way if they haven’t worked on it in a few weeks we ‘recycle’ it). I work with students aged 12 and up so they iron their own projects. If it’s their first time I get another student ‘expert’ to show them how to do it. My students LOVE it!